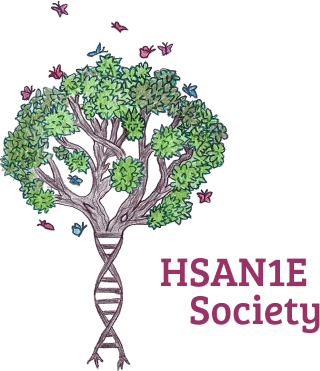 Who can participate in the HSAN1E Society Patient Registry? Anyone affected with HSAN1E or ADCA-DN can participate either themselves or through their caregivers entering their data. Patients who have passed away may have their data inputted by living family members. A patient registry is a database that is created for the sole purpose of collecting information on a specific disease such as symptoms, age of onset, family history, etc. What is the purpose of a registry and how is it used? Patient registries are used a variety of ways. Most notably registries allow clinicians and researchers to learn from the real world experience of patients through their data. Researchers and clinicians can use the information they gather from registries to formulate therapies. Is your personal information confidential? Yes. HSAN1E Society and CoRDS take your privacy and security very seriously. Your identifiable information can only be accessed by CoRDS personnel. Any data shared with rare disease researchers or clinicians DOES NOT INCLUDE names or any identifiable information. 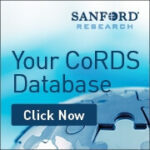 CoRDS is the Coordination of Rare Disease at Sanford and is a not-for-profit research institution that is a centralized international patient registry for all rare diseases. Participating in the HSAN1E Society registry at CoRDS is a great way for you to have a direct contribution into the research being done on HSAN1E and ADCA-AN. Information that you have previously shared with your doctor(s) (including at the Mayo clinic) is not available for other clinicians and researchers interested in the disease. This registry will become the major source of information about HSAN1E and ADCA-DN. The questionnaire does not need to be completed in one sitting. You can complete some sections, save, log out, and pick up where you left off. Also, if symptoms/circumstances changes, you should log on and update any changes. 5. Click below to update data as symptoms change.